In advance of New York Comic Con 2014, Archie Comics is proud to reveal new artwork from the upcoming SONIC BOOM ongoing series launching October 2014! 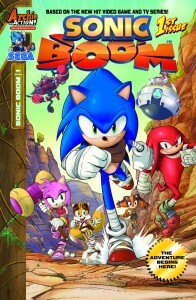 SONIC BOOM is a major multimedia event spanning across video games, television, toys, and is now a brand-new monthly comic book series from the Archie Action line of comics! 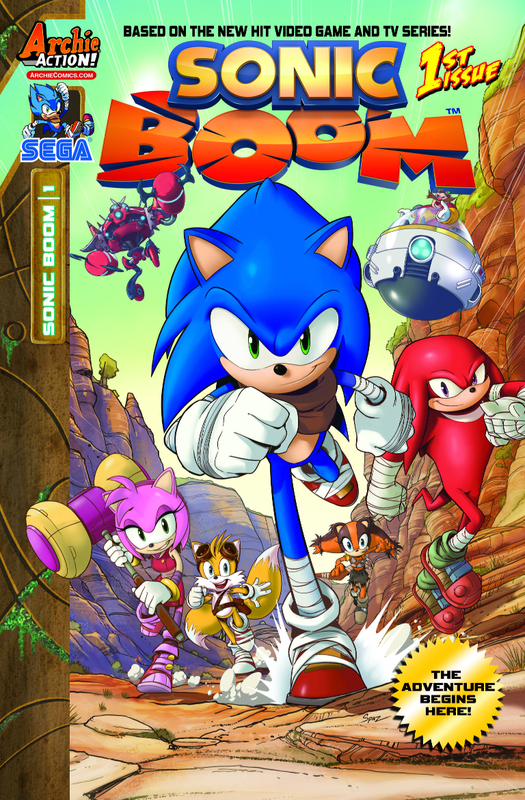 Featuring new characters, new designs, and thrill-a-minute adventure stories, SONIC BOOM is unlike any Sonic series you’ve read before! While Archie’s other Sonic titles are more super hero action-drama, the SONIC BOOM comic is geared around self-contained, accessible stories that are both action-packed and hilarious. SONIC BOOM is filled with tons of gags, 4th-wall-breaking commentary and physical comedy like you’ve never seen before in a modern Sonic comic series! “It’s a really exciting launch for all of us here at Archie Comics, who are celebrating 21 years of publishing the comic book adventures of Sonic the Hedgehog!” said Paul Kaminski, Archie Comics’ Executive Director of Editorial. SONIC BOOM #1 hits shelves just in time for the TV series premiere on Cartoon Network of Sonic Boom on November 8th, and the video game releases for the Nintendo Wii U and 3DS systems on November 11th! For more information visit LA TIMES: HERO COMPLEX. Stay tuned to Archie Comics on Twitter and Facebook during New York Comic Con 2014 for more breaking news and updates! archie action, new york comic con, nycc, sonic boom. Bookmark.